Spectacular Peony flowers are able to mesmerize us with their lush ruffled round blooms that represent healing, happiness, and life. They have an ancient pedigree dating back to at least 1000 BC. and are known to survive as long as 100 years. It’s no wonder they are my favorite flower! 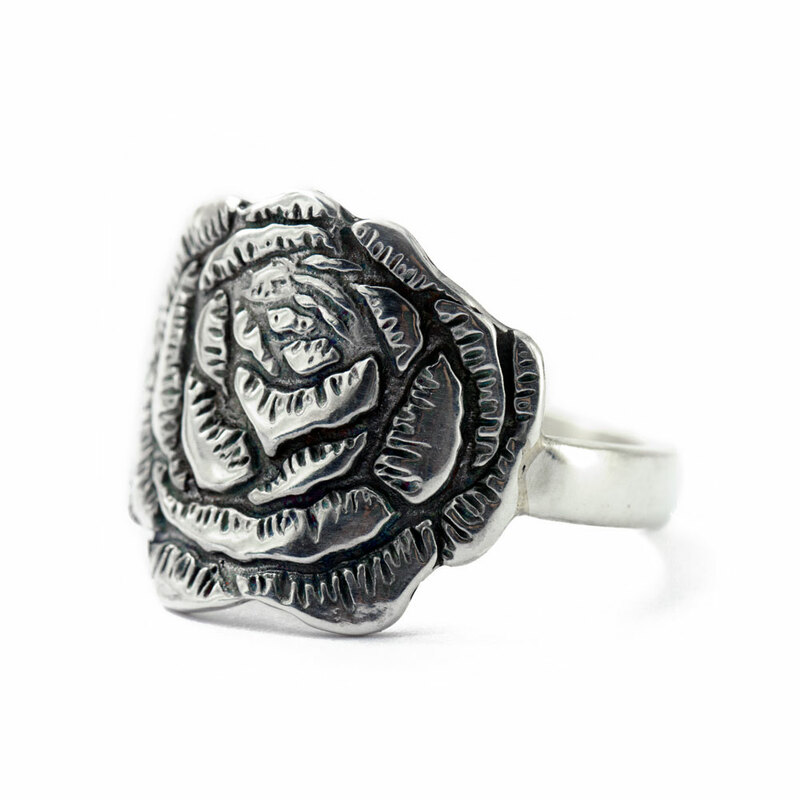 This stunning Peony Flower Ring has a single beautiful bloom and captures the Peonies soft delicate fragileness. 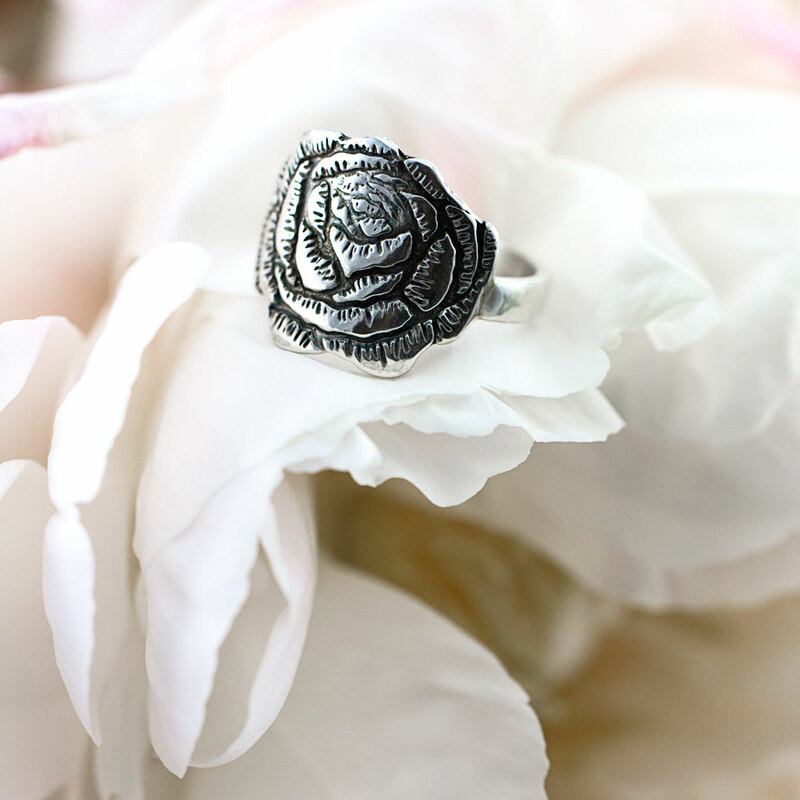 The highly detailed flower is curved into a saddle shape for a comfortable everyday fit. A very subtle and elegant design! I have one in stock at the moment. This item will soon be made to order and will take 2-3 weeks for production. First, I made the Peony Flower design using my own technique described here. The design is lost wax cast and solid sterling silver. 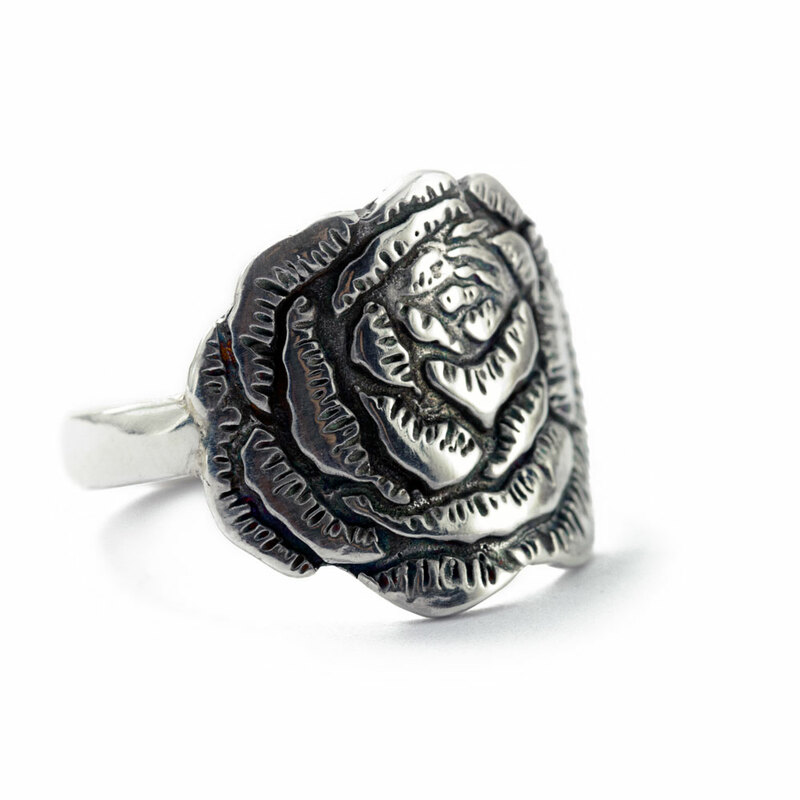 I then soldered the design to an elegant and comfortable sterling silver band and formed the ring shape using traditional metalsmith techniques. 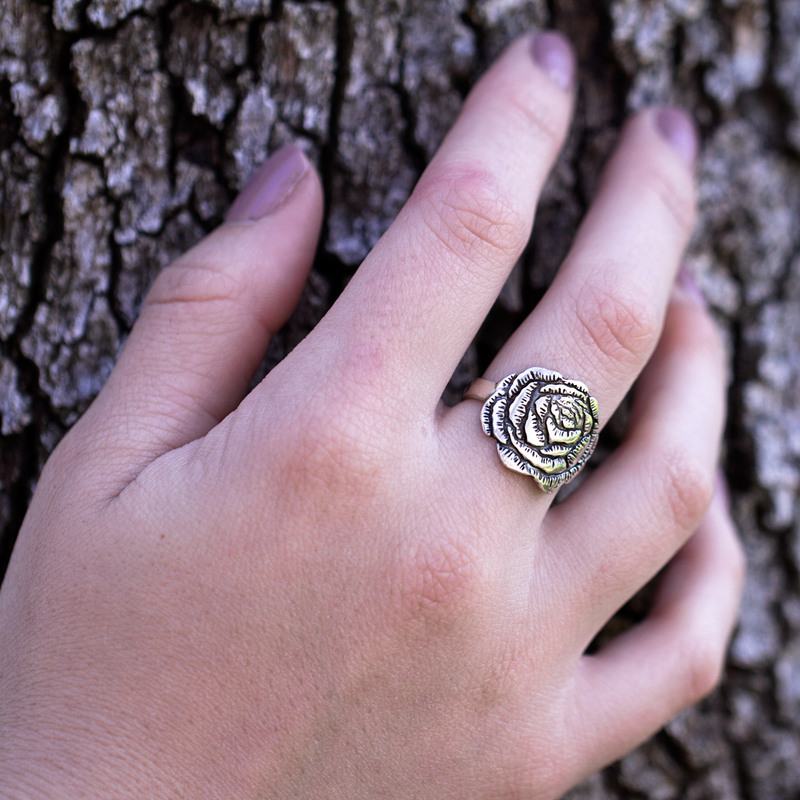 The ring has been oxidized and burnished for a high shine. The inside of the ring has a beautiful satin finish.